If you've been around this blog, then you perhaps already know how much we love Peljesac Peninsula. We visit the peninsula whenever we can; sometimes only for a scenic drive and gorgeous views; other times for serious reasons like wine tasting. Peljesac peninsula abounds in natural beauty, historical sites, lovely sandy and pebble beaches, great red wine, and seafood, especially in oysters and other shellfish. It's also a great place to relax, away from a hustle and bustle expected in a typical touristy coastal town. Peljesac remains quaint and tranquil. It still lacks large hotels and big crowds. A perfect place for those in search of relaxing holidays by the beach. Here is our list of things to do on the Peljesac peninsula. With a length of 5.5 km, Ston walls are the longest fortification walls in Europe. Built in 14th century by Dubrovnik Republic, their main purpose was to protect town's salt pans. Apparently the value of salt back then was equal to that of gold. They consists of three forts, forty-one towers, seven bastions, four pre-walls and a water-filled moat. In the last few years, non-profit association called Society of Friends of Dubrovnik Antiques, renovated almost entire walls, and they are accessible to public. Walls are really steep at times. In summer, plan your visit in the morning or early evening, as it can be really hot to walk the walls during the day. Walls are open to visitors all year. Winter (Nov.-March) daily from 9 am-3 pm | Summer (Apr.-Oct.): daily from 8.30 am-6.30 pm. The admission fee is 40 kn for adults, and 20 kn per child (up to 18 years of age). Ston's salt plans are the oldest in Europe, dating back to 14th century. Salt was the Ston's main commodity for many years. And the main reason Dubrovnik Republic has built strong fortification walls around the town. Today, salt plans are privately owned. They consist of nine basins. All basins, but one (Mundo) are named after Christian saints. Yearly production is around 530 tons. All production is manual. And although salt has been still harvested here every year, unfortunately very small quantities are still used as food. The basins desperately need renovation in order for all salt to be edible. Majority of salt harvested in Ston is destined for other purposes, like for melting the ice on roads. Harvest takes place from July to September. You can join the harvest in exchange for food and lodging. More info at Solana Ston website. Peljesac is seriously famed for its seafood, especially oysters and other shellfish. Mali Ston is the most popular place to taste this heavenly food. 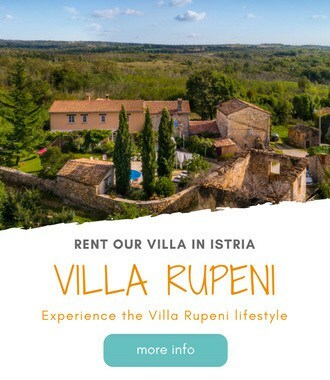 In Mali Ston you can eat at Kapetanova Kuca, Bota-Sare, and Villa Koruna. These places are among the most popular restaurants on the peninsula, but they are also quite pricey. Instead you can check less touristy restaurants as Ficovic in Hodilje, or tavern Bakus in Ston. If you like to travel off-the-beaten path, visit a small village of Kobas, on the southwest part of the peninsula. This tiny fishing village is popular among boat owners, and foodies. Restaurant Gastro Mare is perhaps the best place for foodies on the peninsula. Veggies and herbs are locally grown (in their own garden), and fish and other seafood comes directly from the Adriatic. Restaurant Gastro Mare offers Mediterranean dishes with a twist. And restaurant's guests with a boat get a free mooring, water and electricity as well as yummy complimentary breakfast served at the restaurant. Another excellent fish restaurant is konoba Barsa in Lovište. However, the owner can get moody, and come out as arrogant and impolite. For a hearty meal, visit rural inns Antunovic in Kuna (by appointment only), or Panorama near Orebic. A wine tour is one of THE must things to do on the Peljesac peninsula. Plavac Mali, a local red grape variety, covers 90% of all vineyards, while other sorts include white variety Posip, and Grk. Follow the road signs reading “wine roads” to discover peninsula's wineries. Majority of wineries are located in a village of Potomje, like Madirazza, Matusko, and Milicic. Niko Bura and his sister Mare Mrgudic make excellent red wine. Their wine is worth a stop at their winery in Potomje, although winery itself isn't impressive. Just few kilometers from Ston, you'll find Milos winery, followed by Grgich Winery in Trstenik. Frane Milos' Stagnum is a great red, and we highly recommend visiting his winery. On the way to Orebic, stop by Saints Hills Winery in Zadvarje. Property is gorgeous. 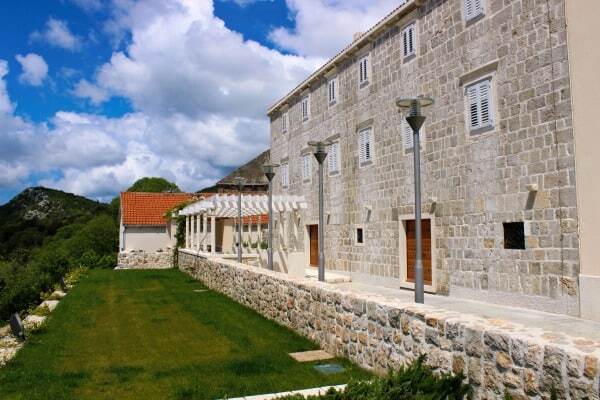 In Orebic, you'll find Korta Katarina Winery. And although we had a kind of bad experience when we visited it, their white wine Posip is one of the best whites we've tasted in Croatia. Besides, there is a great beach just beneath the winery. When I think of a scenic drives in Croatia, Peljesac immediately comes to my mind. From Trstenik to Potomje through wine growing slopes of Dingac region. Words can't describe it. Driving around Drace will call for numerous photo stops. The coast is dotted with small islands, while Biokovo and Komarna on the mainland create a perfect backdrop. From Orebic to Podobuce through a wine-growing Postup region. One word: breathtaking! From Trstenik to Zuljana: the small road has been recently asphalted. The views are amazing! Whether you are an experienced hiker or you just like an occasional walk through nature, Peljesac have you covered. All coastal towns have what Croats call lungomare, walking trails running along the coast, and often connecting neighboring villages. You can hike without a sweat from Orebic to Viganj, from Trstenik through Dingac, or from Trpanj to Blaca Bay. The most popular hike on Peljesac is a hike to the Mount Sv. Ilija (St. Elijah). It's peninsula's highest peak at 961 m above sea level. There are many hiking routes to reach the summit. Three most popular starting points are Ruskovica, Bilopolja and Nakovane. The hike from Nakovane is the easiest, while the route from Bilopolja is the most challenging. All trails are well marked. From Nakovane, it takes about 40 minute walk to reach the foot of the hill where the real ascend starts. This trail isn't too steep, and it takes you approximately an hour and a half to reach the summit. The views are spectacular. A hiking route from Trpanj to Oskorusno starts with an 1.3 km long ascend along the asphalted road. It continues through century old vineyards and olive groves for another two kilometers to a village of Oskorusno. Viganj, a small coastal village on the southwest shores of the peninsula, is one of the most popular place for windsurfers in all Croatia. Winds pick-up quickly in this funnel-like channel between Peljesac peninsula and Korcula Island. Surfing conditions are good all year. During the summer, morning wind conditions are suitable for beginners. Summer afternoons create perfect surfing conditions for advanced and professional surfers with Maestral, a west wind, reaching an average speed of 20 knots, and sometimes up to 40 knots. The most popular launch point in Viganj is St. Liberan, a shingle strip between Viganj and Kucisce. There are many windsurfing schools and centers in Viganj. They offer different windsurfing classes, as well as equipment rental. Most of windsurfers stay at campsites or apartment rentals in a village. We've already told you how awesome beaches here are. In fact they are one of the reasons to visit the peninsula. So why wouldn't you set yourself on exploration of Peljesac best beaches. Have fun at sandy beaches of Prapratno and Zuljana, or wonderful pebble beaches of Divna and Duba on the northern shores, and lovely beaches in Podobuce, Orebic and Viganj. Antunovic family in Kuna runs a small rural inn but also raises donkeys. A lot of them. You can arrange a visit to their donkey farm where you'll get a chance to pet donkeys, feed them, ride them, and even milk them. While in Kuna don't forget to visit village's church built in 1682. One of the greenest Croatian islands, Mljet is simply a must-see destination in Croatia. The island is located off the coast of Peljesac peninsula and a regular ferry line runs between Prapratno on Peljesac and Sobra on Mljet. A half of Mljet Island, its northwestern part, contains protected national park with lush vegetation, seawater lakes, and thick pine forest. The island is dotted with small villages, and it feels quite even in high season. Southern part of the island features a wonderful sandy beach – Saplunara. Ferry operates all year, but has a different summer and winter schedule. Crossing takes 45-minute each way. Sobra, a ferry port, is a small village, and if you plan to visit island's attractions, you'll need a car. The closest entrance to the national park is in a village of Pomena (only 15 min walk to the Malo Jezero (small lake). Admission fee to the park costs 70 Kn (mid-September to mid-June) or 80 Kn (mid-June to mid-September) per adult. Peljesac peninsula is the main gateway to the Korcula Island. The two are separated by a narrow channel. You can easily visit Korcula from Orebic, Viganj or Kucisce. Many passenger boats depart daily during the summer season, while ferry from Orebic to Korcula departs year around. Korcula is a lovely island with rich history, quaint old towns, beautiful beaches, vineyards and olive groves. The largest settlement on the island, Korcula Town, is also lnown as “Little Dubrovnik”. The town developed under the rule of Dubrovnik Republic, and it's surrounded by defensive walls. It is presumably a birth place of Marco Polo, a world's famous explorer. Other interesting places to visit on the island are Vela Luka for its beaches, Lumbarda, Smokvica and Cara for their vineyards. Scuba diving is a popular activity on the peninsula. There are few shipwrecks along Peljesac coast: a ship Boka, sunk in 1981 at the depth of only 15 m; a German torpedo boat S-57, sunk near the lighthouse Lirica in 1944, and a 2000 year old Roman ship. Other interesting diving spots include many underwater caves, passages, and walls full of sea anemone and gorgonians. Diving centers on the peninsula offer boat trips and supervised dives, as well as equipment rental, and diving schools. Expect to pay around 25€ for a single boat trip with a dive. An additional permit is required for a German torpedo boat S57 or cement freighter. Renting a full equipment (suit, bottle, respirator, jacket, and ABC) will set you back an additional 20€. Family Grljusic runs a small rural inn in a village of Gurića Selo, a small place located high in the hills above Orebić. Few years ago, they set a climbing site – Hrid, just next to their resort. The site offers seven climbing routes, and they will be adding more. Experienced climbers can try it themselves, while beginners can learn basics of rock climbing accompanied with a professional guide. We hope this post on things to do on the Peljesac penisnula will help you to better plan your vacation on this wonderful peninsula. If you'd like to explore more, check our comprehensive Peljesac Travel Guide, get inspired with Peljesac Photo Walk and our reasons to visit the peninsula, discover sleepy villages of Trstenik, Zuljana, and Borak, or plan a wine tour of the peninsula (our favorite wineries include Milos Winery and Saints Hills Winery). If you need further info, leave a comment or contact us. Oh! You can ignore most of my previous comment. I just found all your information about day trips from Dubrovnik! So can you just give advice about renting a car for exploring around Dubrovnik? Can we just use buses amd ferries? Thank you so much for the great blog! I am heading to Croatia for the first time in less than two weeks and I really want to visit the donkey farm. I am planning a private car service to go to several wineries in that area and I wanted to know if you have a website where I can make an appointment to visit the donkey farm. I have looked all over the Internet and I’m unable to find out how to schedule this ahead of time. Your thoughts would be appreciated. family Antunovic from Kuna has a donkey farm. Their website is http://opgantunovic.hr, and telephone number is +385 20 742 101. Have fun! thanks for reading! All those things you can do if you stay in Orebic, because everything is witin an easy reach from Orebic. additionalky you can visit a Maritime Museum in Orebic, and the Captains’ cementry. Viganj is just few kilometers away. Korta Katarina Winery is in Orebic. 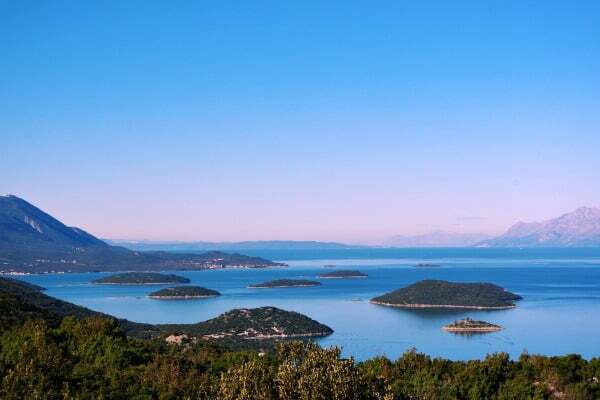 You can take a boat tour to Korcula, and hike the mount Ilija from Orebic. Beaches around Orebic are nice. Check the one in a small village of Pidobuce, and Mokalo. Let us know if we can help with anything else. thanks for reading, and gor your suggestion. I’ll add the Nakovane historical site to my list. It seems very interesting. Thanks again!